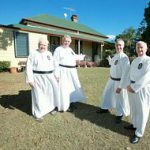 The Passionists in Brisbane will celebrate 50 years at their property, "The Fort", this weekend. MALCOLM COLE looks back on the history of this community. 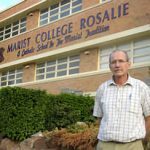 A Brisbane ministry is hoping to spread its model of pastoral care of the mentally ill to other dioceses. MATT EMERICK reports. 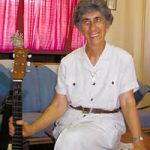 Papua New Guinea was an unknown frontier for Sr Mary Claude when she was sent there by her religious congregation 20 years ago. She tells STEPHANIE THOMAS how the experience has changed her life. 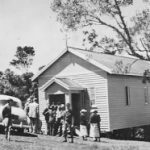 Memories of a Catholic family's pioneering spirit will be revisited when Queensland's highest church celebrates its golden jubilee this month. MARCUS KUCZYNSKI reports:. 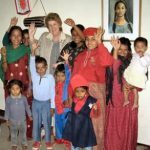 A Brisbane evangelist is helping to spread the Word of God in the small Himalayan nation of Nepal. MATT EMERICK reports:. 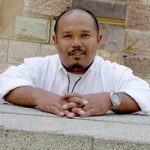 The East Timorese people have a new struggle on their hands. They are fighting internal attempts to circumvent the Church's influence in daily life. PETER BUGDEN reports :. A Gold Coast parish has gone to great lengths to create a modern feel in its new community worship centre while also showcasing Queensland's natural heritage:. 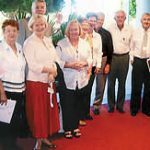 A program called Catholics Returning Home is proving popular in helping non-practising Catholics to find their way back into a worshipping community, writes MIKE HUMPHRYS:.